Ethical Hacker Certification Exams Training, Ethical Hacking Certification Assisment, Ethical Hacking Certification Centre. This extensive course on Ethical Hacking gives candidates in-depth knowledge and practical approach towards important security systems. The certified ethical hackers use knowledge and tools to uncover vulnerabilities in an organization’s computer systems. The complete practice of hacking goes in an ethical and legitimate manner to assess the security areas of the target system. This certification course is ideal to establish and govern minimum standards of a specialist in ethical hacking. Beyond the important job opportunities of becoming certified, the certification of ethical hacking opens door to profitable security positions in IT sector and sectors endorsed by National Security Agency (NSA), the Committee on National Security Systems and Department of Defense. Such reputable organization escalates the importance of personnel and contractors as their ability to access sensitive information. In addition to it, many IT companies, have made Ethical Hacking as compulsory qualification encouraging security professionals to get certified in Ethical Hacking. The certification as an Ethical Hacker will open up major career possibilities. After attaining the certification from CCUBE Competency Certification Centre, one can easily aim to become a forensic Analyst or a Security Manager. The future prospect of career for an individual with Ethical Hacking Certification also includes Computer Network Defense Analyst, CND Infrastructure Support, and Auditor. Also, being certified by one of the industry giants such as CCUBE, which is a pioneer arm of the CADD Training Services will open opportunities to earn a decent amount of salary which is 44% higher than IT Security Salaries. 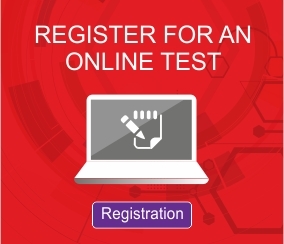 The exam comprises of 60 multiple choice questions on Ethical Hacking.